Here at Food Hacks, we're very fond of finding ways to regrow food. That means taking things like carrot tops and leftover bits from garlic, onions, chives, and other herbs and aromatics to create mini reusable herb gardens. However, for people who dwell in small spaces with limited outdoor areas or who have pets and children who tend to get in, well, everywhere, it can be tough to find a dedicated spot to do some urban farming. Thankfully, a tabletop greenhouse is a great way to really commit to growing your own food. These small enclosures, usually made of glass, steel, metal, and/or plastic, not only set aside space so your basil and cilantro can grow unhindered, they can also protect them from dust and the occasional random flying object (in my case, usually my dog's favorite chew toy). It doesn't hurt that most tabletop greenhouses look cool and add, rather than detract, from your home decor. Having a special area marked off for your gardening project can also be a good motivator to keep those herbs and veggies well-maintained. My biggest fear about tabletop greenhouses was that they were going to be expensive, but that is absolutely not the case. One of the most attractive options out there is also the cheapest. It hails from IKEA, of course, and costs $19.99 not including tax (they're also available on Amazon, but they cost more). 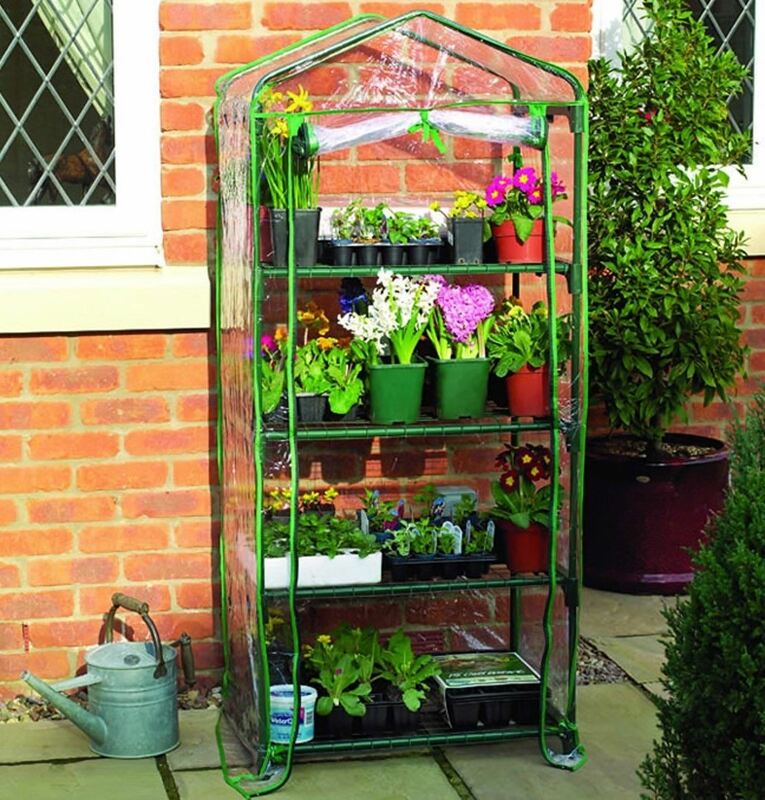 If you've got a little more space to work with, this four-tier greenhouse would look great in the corner of a sunny kitchen or living room. It's currently on sale for around $43. 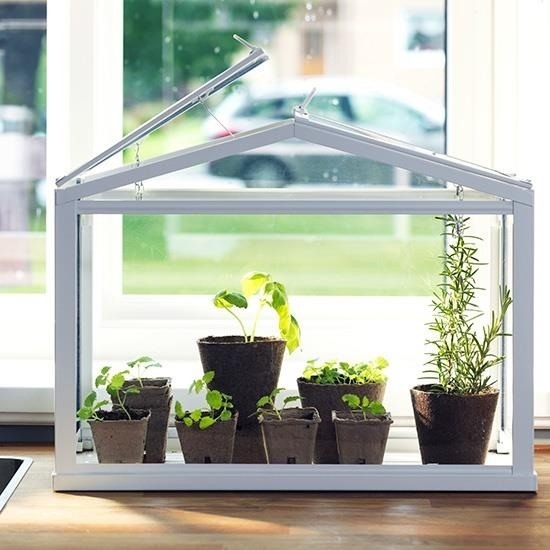 This version is even easier, although be forewarned: while it bills itself as a self-watering DIY greenhouse, a few commenters have pointed out that's not quite the case. It is hella simple to put together, though. Networx also has several intriguing DIY small greenhouse ideas that would work in a variety of spaces. 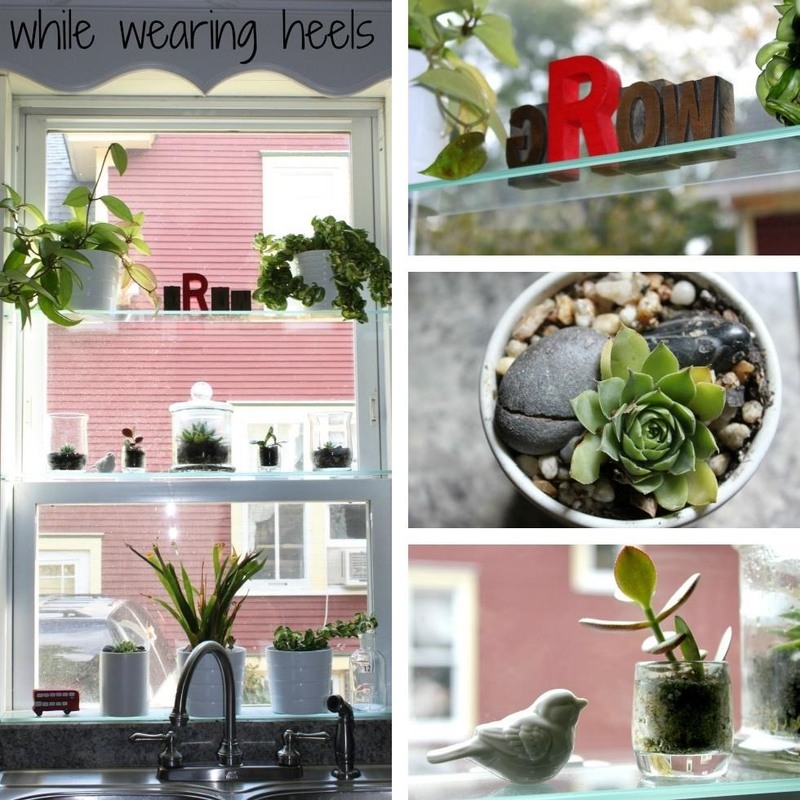 Ideas range from using clear plastic storage bins as readymade greenhouses to my personal favorite idea from While Wearing Heels: install glass shelves in front of an existing window for a really gorgeous way to make sure your plants/seedlings get enough sun. It's all great inspiration to start growing your own food ASAP. After all, if it comes from your own garden, you can't get much more local, seasonal, and organic than that, right? Great food tools can take your cooking (and drinking) to new heights. Afraid of spills on your rugs? Then it's time to get these drinking glasses that wobble but don't fall down. Now that it's warm enough to camp and go on long car trips, consider getting this powerless slow cooker which cooks meals through retained heat. And if you're in a shared kitchen/break room situation, you can still make yourself a grilled cheese thanks to these handy toaster bags. Healthy Food for Your Family: CSAs!